An Andrew Martin industrial style, heavy weight floor standing lamp with concrete grey finish and oversized statement dimensions. Lamp can be displayed with two industrial styled Edison bulbs, or with an ivory linen shade . This Andrew Martin floor standing lamp is a real statement piece. The size is commanding and the materials both masculine and raw. 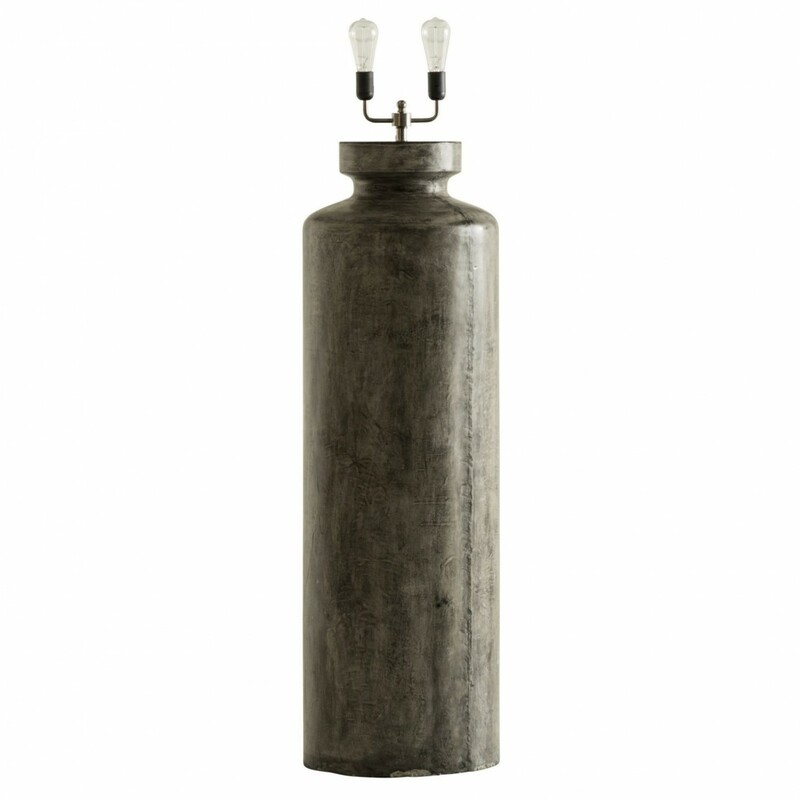 The concrete canister shaped base combined with the vintage aged brass Edison light fittings give it a truly industrial feel. This lamp would work equally as well in the living room or study in a luxurious town house, as it would in an urban cool city apartment. A wonderfully diverse piece which will add impact and warmth to any interior. Andrew Martin furniture combines a sophisticated style with comfort, tradition and culture. Founded 40 years ago this year, Andrew Martin takes inspiration from a mix of cultures worldwide to create the most wonderfully eclectic portfolio of luxury furniture, including side tables, stools, lamps, chairs and tables. You can see our other Andrew Martin products here.